No one paying attention could imagine it emerging differently, not with the new guy resembling in no way the last forty-three guys, governing in no way like anyone since FDR, and facing a two-front war beneath one of the most damaged global economic meltdowns in history. Forget race, generation and a tinderbox political environment, rousing approval numbers and a mad scramble for a healthy slice of the New Democratic Party Power Pie; the second Barack Obama raised his hand to swear his oath as leader of the free world, there was change. Right from the start, the new president was uninterested in sweeping clean all that had come before. He continued his predecessor’s policies at home and abroad, choosing to retain George W. Bush’s most influential appointees, Ben Bernanke as Federal Reserve Chairman and Secretary of Defense. Robert Gates. The former helped continue the federal government’s emergency bank bailouts towards record numbers, stopping the hemorrhaging while further bloating the federal budget. The latter shifted the vagaries in the War on Terror onto the borders of Afghanistan and Pakistan as candidate Obama had foretold. Where Obama may have lost the majority of independents and many of the moderate leftists is the inability for him to intercede where necessary with the zealots of his party, especially the House Speaker and its majority leader, both of whom conducted much of the Recovery Act as some kind of re-shifting of taxpayer charities into a spectacular sinkhole of pork. Another tweak to Liberals was the president’s almost habitual if not half-hearted attempt at bipartisanship. Tanking on arrival, due to the almost complete dismantling of The Right following his entry into office, it never had a chance. Whoever was left to defend the fractured conservative movement would not go quietly. Its pathetic representation in government reduced the fringes of the Fourth Estate to exact vengeance, the rightful weapon of the loser. Thus the Birther-TEA Party-Town Hall masses began to take hold of the age-old debate on how much the government may be allowed to act in the reconstruction of our damaged republic, from environmental, moral to defense and wealth redistribution. Soon, as was the case in the last administration, much of the back-and-forth, which turned civil rights and proactive military action into charges of fascism and war crimes turned Keynesian economics into forced socialism and health care reform into death panels. Lost to the general public and the consumers of the sporadic bilge, the massive takeover by the federal government of the banking system was not a choice but a reaction, much like most of what the former president was forced to face in the ensuing months after 9/11. What followed for the Bush Administration defined it for history, much like the months following the massive financial band-aid that kept the economic fabric of the planet from unraveling any further, the effects of which bloats unemployment numbers and still strikes fear in the American consumer, which is all that is left us as an economic power. Where Obama may have lost the majority of independents and many of the moderate leftists is the inability for him to intercede where necessary with the zealots of his party, especially the House Speaker and its majority leader, both of whom conducted much of the Recovery Act as some kind of re-shifting of taxpayer charities into a spectacular sinkhole of pork. It was the same mentality that allowed the most important element of the president’s initial boatload of political capital to spring several leaks, causing the Health Care Reform Bill to inevitably become a flaccid shell of its original intent. Then, as is the case with every president, an unforeseen moment shifts the general inclination of the man in the Big Chair. Such was what is now called the Christmas Terror Plot, which pushed to the fore a more assertive and fed-up Barack Obama, who launched an unflinching pronouncement of culpability from the CIA to the FBI to the rafters of Congress, unthinkable for a commander-in-chief in war time. 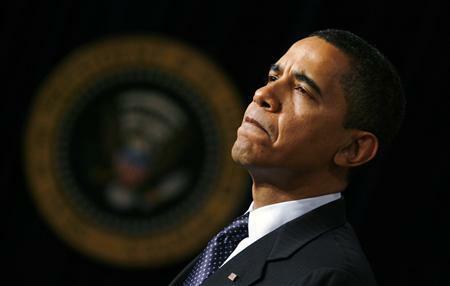 The outburst caused veteran reporter David Broder to observe, “Obama’s benign leadership style had reached its limits”. And now one gets the feeling that although the White House would love for there to be a Health Care Bill by the time the president hits Capital Hill for his State of the Union Address, what may enter the hen house is a wolf in sheep’s clothing. Although the largest building in the country’s greatest city was not taken down by lunatics nor has the president handed over major legislation to his wife, Barack Obama’s America: Year One faced the cacophony like few have ever had to endure. Maybe there were far too many television appearances and weirdly apologetic speeches abroad, his cabinet filled with questionable character, there was also not a litany of expected speeches (only one actually hit home in an emergency session of congress that was too little too late) and truth be told much of his style has been more reticent than radical. What the new guy is not is a New Politician. He is the same one we have seen before, making the same mistakes and settling on the same hard decisions that don’t always jibe with the far-reaching, inspirational sonnet of the “outsider”. And in the end, which is only the beginning, Barack Obama’s America: Year One may have taught us a lesson we already knew deep down; twelve months does not a term make.